Some companies will consider as many as 6,500 brand names when launching a new product, knowing that the right choice can make a huge difference in the minds of consumers. But the same naming techniques can help anyone capture the essence of their product or service. So here’s a simple process based on our experience helping clients name everything from shoes to startups. Follow these seven tips and you can make a name for yourself, too. List your selling proposition and attributes. Start by setting down everything worth saying about your product. It doesn’t matter if you capture it on a napkin, a whiteboard or a notepad – just get it all down! Quantity is your priority at this stage, because you never know which keyword or phrase will eventually lead to the perfect name. Supporting messages. If you have already devised a selling proposition, tagline, product descriptor or talking points, include them. They’re good idea starters and can also serve as benchmarks for evaluating whether a proposed name really fits. You might also jot down your company tagline or mission statement if the name must complement or reflect your overall brand. Brand promise. Describe the benefit customers should expect from your product. What are they really hoping to buy? For some it’s pragmatic, such as freedom from chronic pain, a good night’s sleep or greater personal productivity. Or it might be emotional and aspirational: peace of mind, comfort, security and more. You can express it in phrases or individual keywords. Competitive position. If you have a positioning statement or strategy for differentiating yourself in your marketplace, be sure to write it down. You might also try the exercise of defining your product by analogy, listing well-known brands that mirror your own desired image. Are you a luxurious Lexus, a stylish Ferrari or a reliable Toyota? Explore the mental image you hope to inspire in prospects. It could provide clues to the appropriate tone for your new name. Unique features or benefits. At one time it was almost mandatory in advertising to hype a unique new feature, even if it was neither unique nor new. Things are different today, but any distinctive features or benefits should be highlighted. After all, these unique qualities might inspire a unique name. Who uses it and how. People respond to products that reflect their usage habits and priorities, so try to identify your targeted users and the attributes that matter most to them. There are about 2 million active trademarks registered in the U.S. today, and hundreds of thousands of new trademark filings every year. 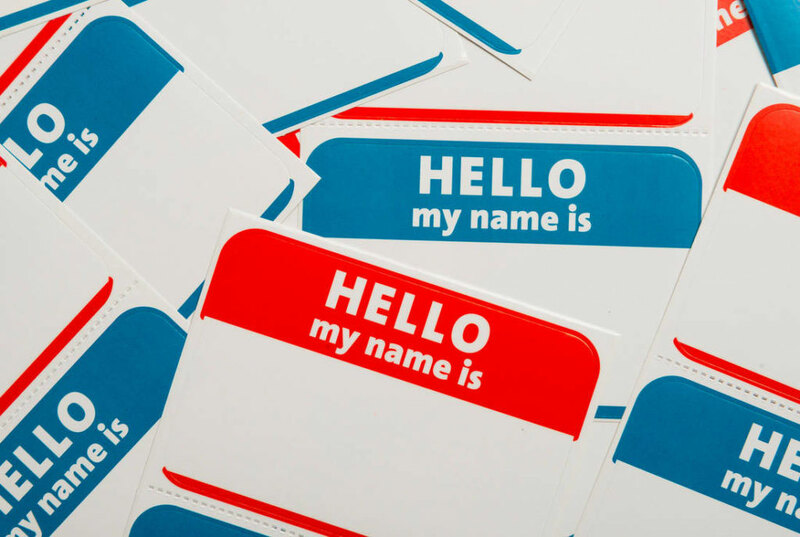 So a unique name can seem impossible – unless you approach it not as a process of discovery, but a process of invention. That’s why professional namers use a variety of creative techniques to mutate relevant keywords into proprietary product names. Express it with a metaphor. One classic technique is to associate your key features with a well-known symbol of those attributes. Animals, for example, are often used to emphasize speed, agility or endurance: Pony, Puma, Reebok, Le Tigre. Because metaphors aren’t literal, you also have the flexibility to apply them in other ways – Cheetahmail for a faster form of email communication, Gorilla Glue for a stronger grip, or Red Bull for a more potent source of energy. Compound names. The effectiveness of combining words to communicate both relevance and reward is apparent every time we brush with AquaFresh, cook with KitchenAid or enjoy a good night’s sleep on our Beautyrest. Compound names are relatively simple yet still work very well, with some a century old (Coca-Cola, Tastykake) and others quite new (Fitbit, Facebook). The portmanteau. Named after a kind of two-compartment suitcase, a portmanteau connects two words via a common letter or sound. Accenture, for example, is a portmanteau combining “accent” and “future.” The result is a clever, catchy way of drawing attention to multiple attributes – just ask Groupon, Verizon, Playtex, Pinterest or Travelocity. Prefixes/suffixes. When a key word or feature is essential to your product name, use it as a root word and add prefixes or suffixes to evolve it while conveying that certain something – anything from prestige (Electrolux) to multilayer strength (Duo-Tang), feminine gentleness (Purell) or an end to discomfort (Gas-X). The variety of prefixes or suffixes available is nearly endless, but here are a few hundred options as idea starters while you’re working on the next Spotify, Bitly, DermaSof, Interpublic or Desenex. Creative misspellings. Changing a few letters to rebrand a common word or phrase has worked in the past for Sunkist, JELL-O and Chick-fil-A. It’s also great for newer brands such as Lyft, Tumblr and Flickr that need short, memorable domain names in order to maximize online traffic. If you try this approach, beware of misspellings so elaborate that outsiders find it impossible to understand, spell or pronounce them properly. Unusual letters or phonetic substitutions. In English, the least utilized letters are q, j, z, x, v and k, with x being the letter least likely to begin a word. That’s why brands such as Xbox, Kodak, Zippo and Quiznos have a natural stopping power. But you can also substitute these letters within common words to make them unique to you. Examples include Publix, Cheez-It, Lyst and Xoom. Borrow from another language. Greek and Latin are derided as dead languages, but they’re very much alive to brand specialists with dictionaries. Simply look up your key attributes, and you’ll find linguistic inspiration. For example, Xerox originally got its name from the Greek roots for “dry writing.” Linoleum, one of the world’s oldest brands, was named 150 years ago from the Latin terms for two key ingredients: linum (flax) and oleum (oil). And as brands such as Nike and Pandora prove, the myths and histories of these cultures continue to provide a treasure trove of ideas. Or why not look to contemporary languages? Zappos.com was derived from the Spanish word for shoes; PEZ is an abbreviation of the German word for peppermint; and brands such as Au Bon Pain and Aeropostale evoke French sophistication to lure American mall shoppers. Devise an acronym. Well-suited to programs and services, acronyms differ from abbreviations by spelling out a word that can be pronounced. NASA, IKEA, GEICO, Fiat and Yahoo! are examples of acronyms that have become successful brands while their underlying names were gradually forgotten. Acronyms can say a lot, but the challenge is communicating value to outsiders who don’t know the whole story. When Atlantic City Electric asked us to name their incentive program for businesses bringing new facilities to southern New Jersey, we suggested EDGE – Energy Discounts for Growing Enterprises. The benefit was clear and intuitive, and EDGE integrated easily into headlines and messaging. Make certain that your own acronyms offer the same fit and appeal, or you might want to consider a different tactic. Create a fictional surrogate. Strong brands make personal connections, so it’s logical to invent a personality that consumers can relate to. Cut-rate insurance, for example, was a faceless commodity business until geckos and ducks emerged to grow awareness of awkward brands called GEICO and AFLAC. Or look at Dasani and Haagen-Dazs – ordinary products with mythical origins, capturing a premium position just by speaking to the upscale aspirations of consumers. For brands struggling to establish a cohesive image, reinventing yourself with an appealing surrogate can be a smart choice. Creative Co-op devised MillRiver Wealth Management as the public face of a merger combining the investment arms of two old-line New Hampshire banks. Balancing elements of two established brands would have satisfied no one, so “MillRiver” was an idealized place that embodied their common traits: deep local roots, ties to the land, traditional New England values that powered local growth. The result was a vivid, fresh new identity that still spoke reassuringly to long-time customers of both institutions. Check for availability. A critical step is checking to see if your name is available for use. One helpful resource is TESS, the trademark electronic search system operated by the U.S. Patent and Trademark Office. Not only does it give detailed answers on trade name status, but also it offers a helpful tool for testing varied creative approaches. And when a compatible online domain is important, the international WHOIS lookup can tell you if it’s already registered. Just remember to avoid investing too much time or emotion in a name – no matter how brilliant – until you’re sure it’s available and approved by your legal team. You’ll almost certainly have to discard many strong choices before settling on the right one. The best brand names offer prospects a shortcut to a good decision. But when you need a shortcut to that great name, Creative Co-op can help with expert support and out-of-the-box thinking. Just email us today, or call (603) 658-1600.